Although I grew up in Connecticut, which is about 20 minutes east of the Bronx, I never had much purpose to go there with the exception of a Yankees’ games or the Bronx Zoo. Even while attending college in New York, I passed through the borough often but seldom had a reason to stop, while Long Island and Manhattan received most of my attention. Passing on the Bronx, I was missing a culinary goldmine with all the Italian and other ethnic eateries. While we were up north, Serena made sure to bring me by a couple of her favorite places from her native Bronx. We didn’t have time to hit famed Arthur Ave. but we did make stops at LaSalle’s Bakery, Loretta’s Pizzeria and Valencia Bakery. 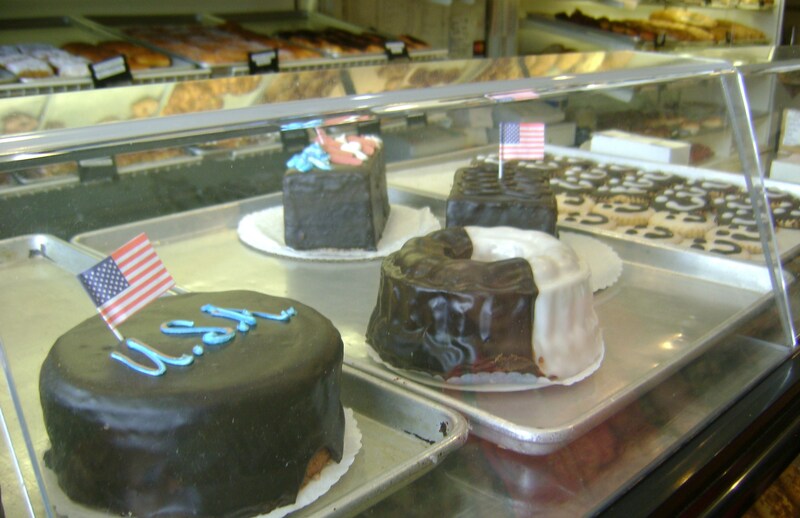 Located on busy East Tremont Avenue and the corner of La Salle Avenue, stands La Salle bakery. From the outside nothing stands out about La Salle’s Store front. When you step inside LaSalle’s you walk into a scene that would be a nightmare to any “Biggest Loser” contestant. 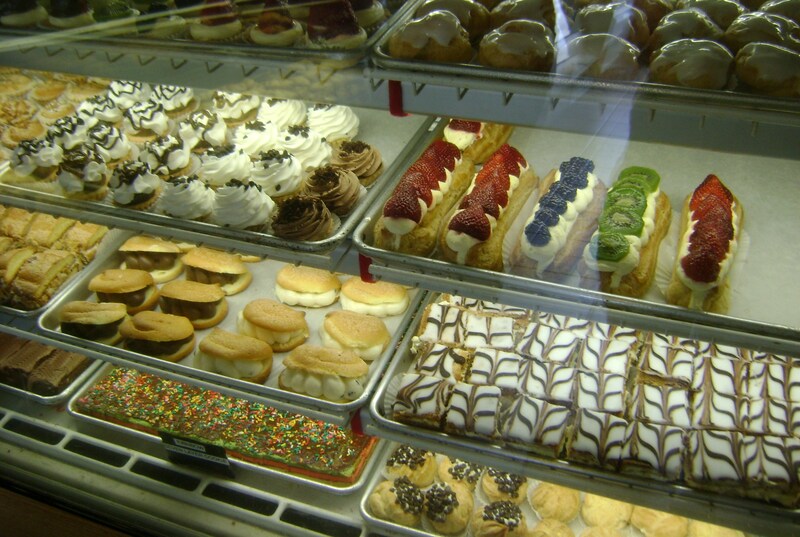 You are immediately bombarded with the smell of fresh baked breads and assorted sweets. Fresh made donuts line the trays behind the counter, jelly, Boston crème, sugar cream, cinnamon bun, muffins and the other usual suspectS in a donut line-up looking back, waiting to wreck havoc on anyone’s diet plans. 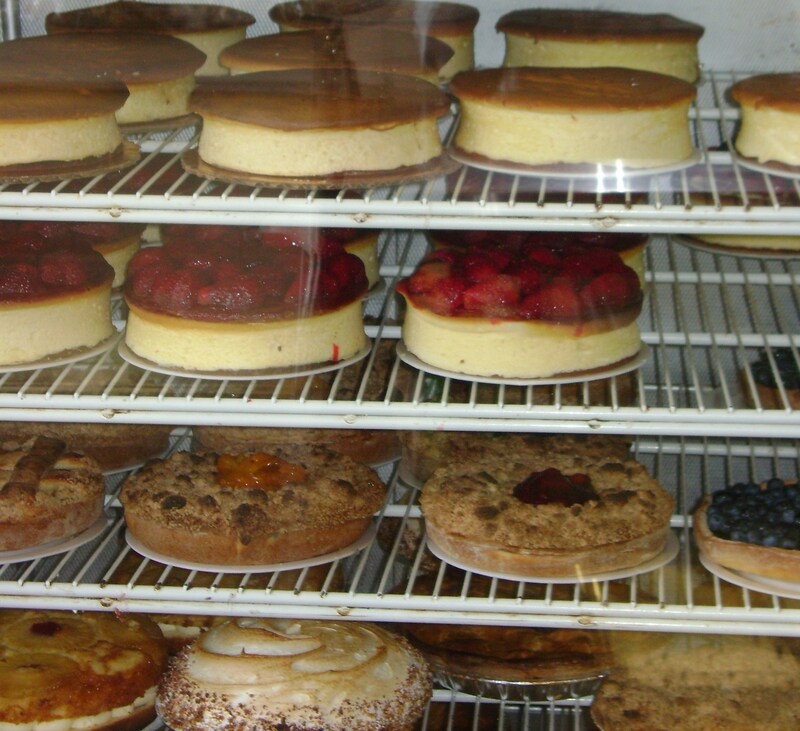 Adjacent to the donuts was a refrigerated glass cabinet which housed the cakes and pies. Rows of cheesecakes with strawberry head dressing sat waiting for orders next to the chocolate mousse, carrot cakes, seven layer cakes and more. Below the counter all kinds of cookies and pastries sat behind the glass. Cookies dipped in chocolate with rainbow sprinkles, pastries with frosting and topped with fresh fruit, and cookies layered the colors of the rainbow. If all that wasn’t enough, flanking from the back right was the carb artillery of fresh baked bread, rye, Irish soda bread, glazed raisin, olive bread, peppers and mozzarella and others. All of the bread is baked that morning and anything not sold that day is donated to local charities. Our stop at La Salle’s was not by chance and when we walked in Serena already had a game plan. We ended up walking out of La Salle’s with 2.5lbs of cookies for us to take back to Serena’s mother in North Carolina who was apparently having Bronx Italian cookies withdrawal, a pound for us to snack on during the road trip south and 2.5lbs to keep her father (we would be staying at her father’s before driving south) from eating our 1lb. While our cookies were being boxed up we spoke with Nella Passafiume whose family has been running the bakery for the last 25 years. Her son Dominick runs the day to day operation (he is also a part time social studies teacher) that starts at 1am with the baking of the breads, donuts, buns, Danish and rolls. Nella’s husband Tony also lends a hand part time. 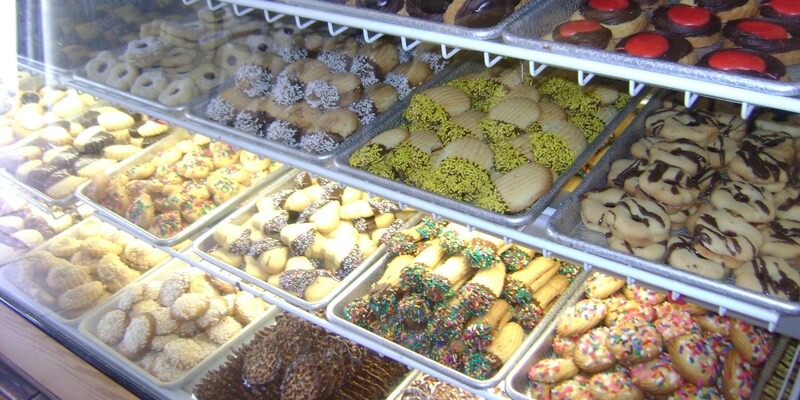 We walked out of La Salle’s with enough cookies to tip the scale on a small dog and the taste of a fresh filled cannoli on my lips. I always love falling into places like LaSalle, owned by a hard working family who are always happy to stop, talk and truly listen to the people who walk through their doors. Their hard work and dedication to their trade comes through in their goods. Nella’s jovial and welcoming attitiude is evident in the way she spoke to us and how comfortable the regular that was sitting enjoying a coffee and pastry (whom we also spoke to) felt while waiting for her doctors appointment. During our next trip I hope to get involved in some of the pies that were giving me the eye when I was there.